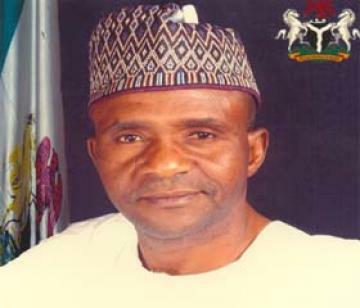 The expectations in certain quarters that the Taraba State deputy governor, Garba Umar, will be sworn in as acting governor following the plane crash which involved the governor, Danbaba Suntai, has been dashed. The governor is believed to have sustained serious injuries in the crash which many speculate has put him in no position to effectively administer the affairs of the state. While answering questions from newsmen, Umar yesterday said he has not been sworn in as the acting governor of the state, but he is still the deputy governor despite the recent accident by his boss in a plane clash in Yola, Adamawa State. He assured that Suntai was responding to treatment. When asked why he had not been sworn in to avoid a constitution crisis, the deputy governor said he could not be sworn in now that his boss was still alive. He said, “I’m still the deputy governor of Taraba State, I’m not acting. I can’t be sworn in as acting governor of Taraba State because my boss is still alive”. Meanwhile, the governor who is said to be in a coma, was yesterday evacuated out of the country to Germany for adequate medical attention. He was reportedly driven out of the National Hospital, Abuja at 1:57pm to the Nnamdi Azikiwe International Airport. Sources at the Yola Specialist Hospital where the governor was first admitted on Friday said that he had fracture on the right arm and cuts on the left side of his head. The source added that the governor lost a lot of blood from cuts in his body, leading to a placement count volume (PVC) of 18 as against 45, which is the average for adults, translating to 60 per cent blood count loss. He was consequently given blood transfusion by the Yola hospital.